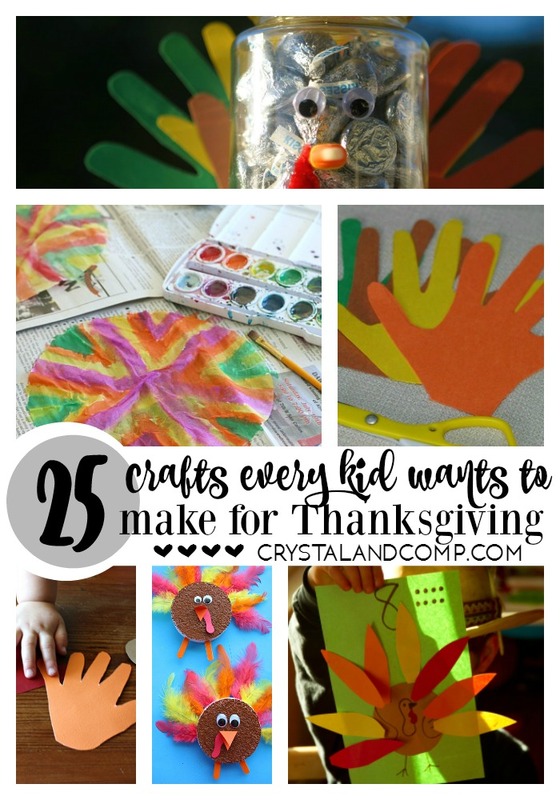 I love the idea of creating toilet paper roll Thanksgiving crafts! And while there are tons of ideas and ways of making turkeys out of toilet paper rolls, there are so many other things you can create too. Corn husks, pilgrims, Indians, napkin rings and more! 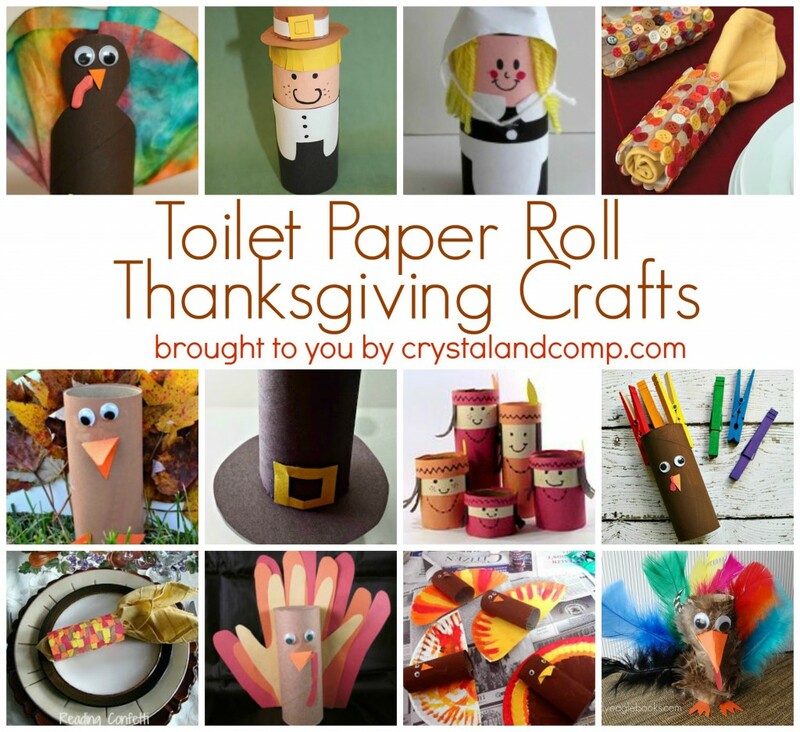 Here is a collection of 12 toilet paper roll Thanksgiving crafts. These are perfect to do now, or over the days the kids are out of school for the holiday, or on the day of Thanksgiving with cousins while everyone is getting ready for the big feasts. I just love every single one of these. So creative! Toilet Paper Roll Pilgrim Boy– super cute. You could easily make a Pilgrim family. Toilet Paper Roll Pilgrim Hat – how fun is that? Paper Plate and Toilet Paper Turkey– adorable! And then the kids paint it. 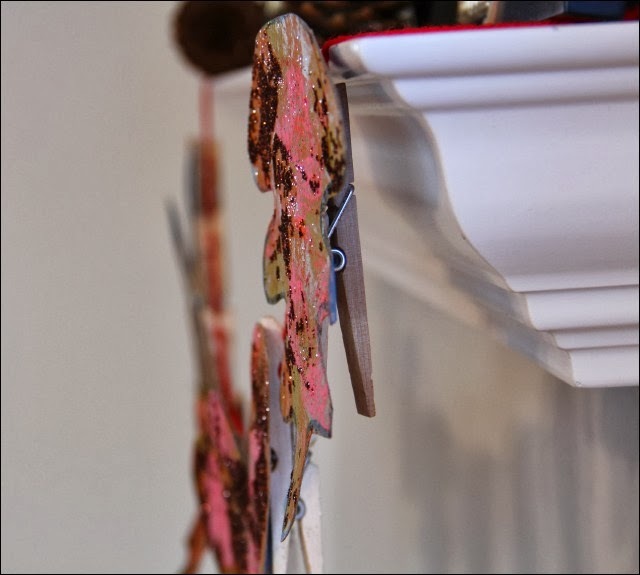 Cardboard Tube and Coffee Filter Turkey– painting and tie-dying all in one project. Kids will love this. Turkey Craft Toilet Rolls with Paint Chip Samples– easy and simple creations to be made using those paint swatches from the hardware store! Pumpkin Toilet Paper Roll– This one would make a super cute centerpiece to any Thanksgiving table! 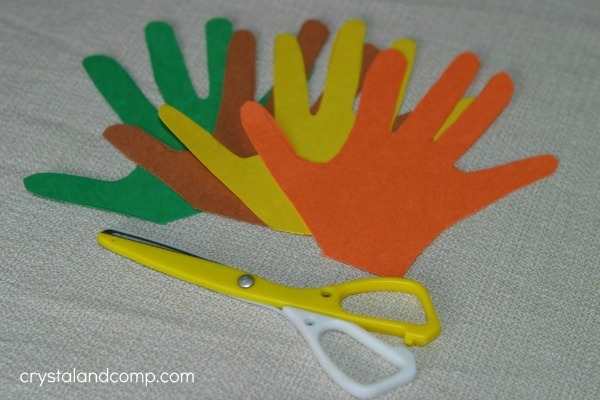 Hand Print Turkey– decorate the toilet paper roll with hand prints to create a turkey. 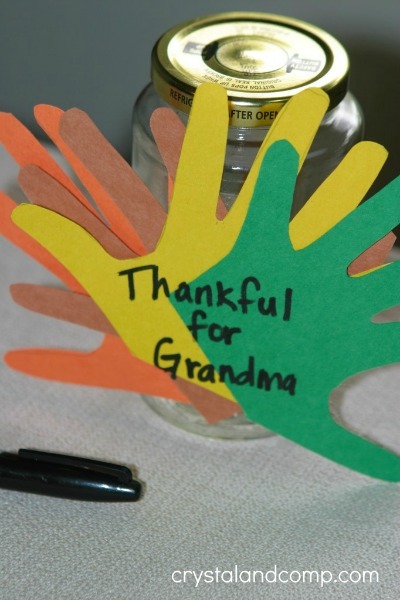 Indian Family Center Piece– love this! Great family project. And it is all made out of toilet paper rolls. 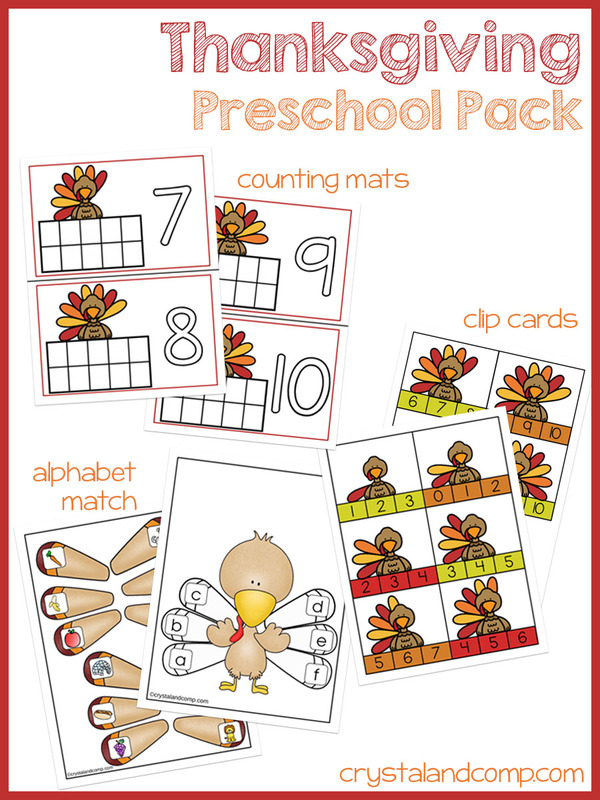 Easy Thanksgiving Turkeys– These are tons of fun and use up brown paper bags too! Gratitude Turkeys– This idea is perfect for naming all of the things to be grateful for! Toilet Paper Roll Pilgrims– Now these cute little pilgrims will make any Thanksgiving story time! Paper Roll Scarecrow – This one is just adorable and easy to make! 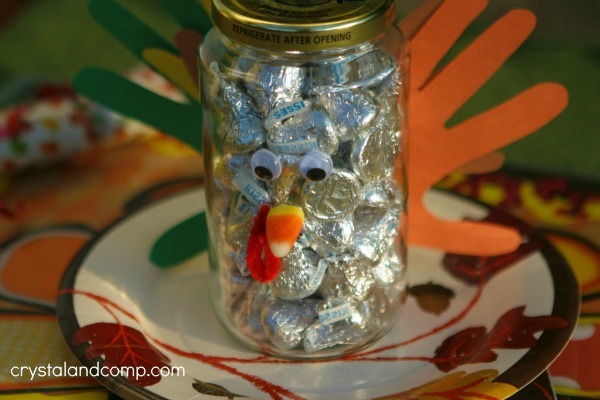 Do you have a fun craft for Thanksgiving? Share your ideas! Are you super excited about the upcoming holiday season? We are so excited for both Thanksgiving and Christmas. Not only is this such an amazing and memorable time with family but also a great time for crafting. My kids look forward to the crafts we get to do this time of year. Many of them I hold on to and keep for them to hold on to later as they grow. We love talking about their milestones and seeing their crafts improve and change over the years. 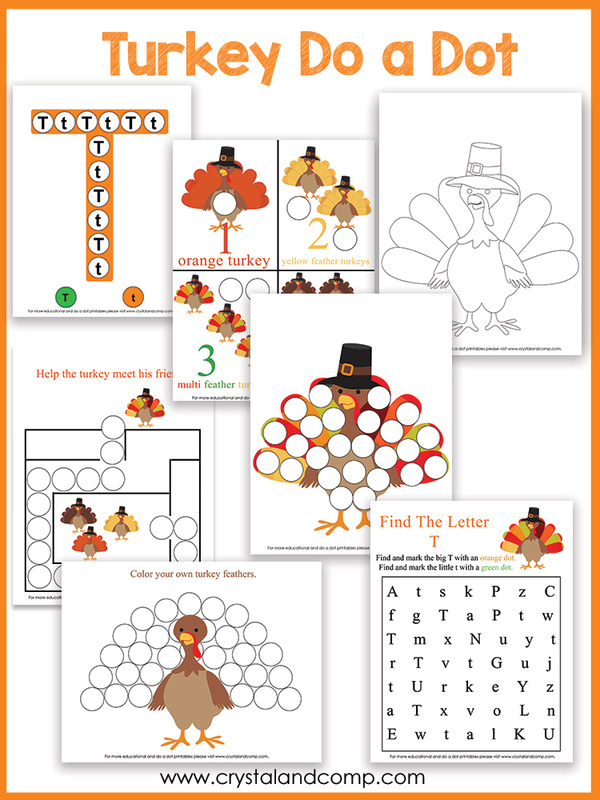 If you are looking for something to squeeze in before Thanksgiving is officially here, this turkey gratitude activity for kids is fun, simple, and adorable! Use them as gifts for family and friends or just as place settings for your Thanksgiving table. Either way they are perfect and sweet crafts from the heart. 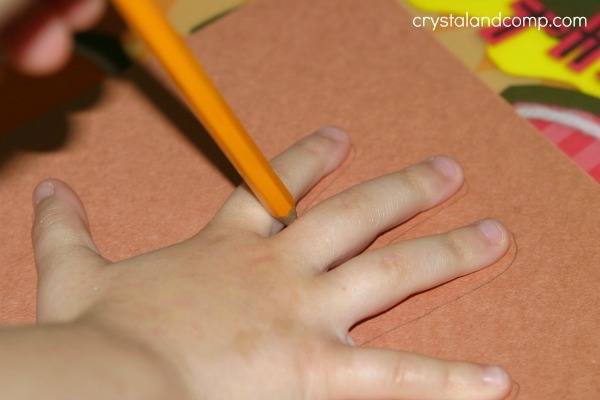 First, use your child’s hand and trace it on each of the sheets of construction paper. 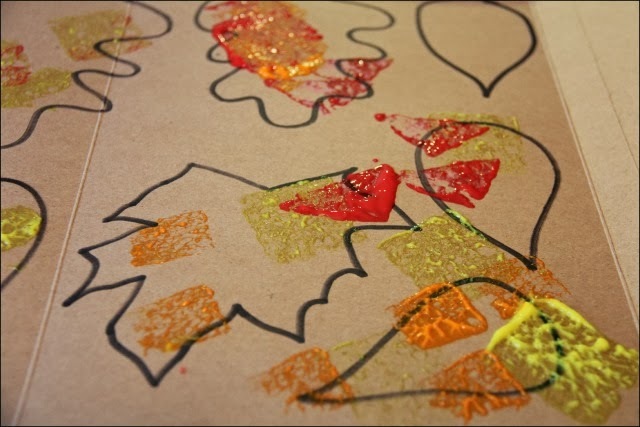 Then, cut the hand tracings out and arrange the hand tracings to represent fanned turkey feathers and glue them into place using your hot glue gun. 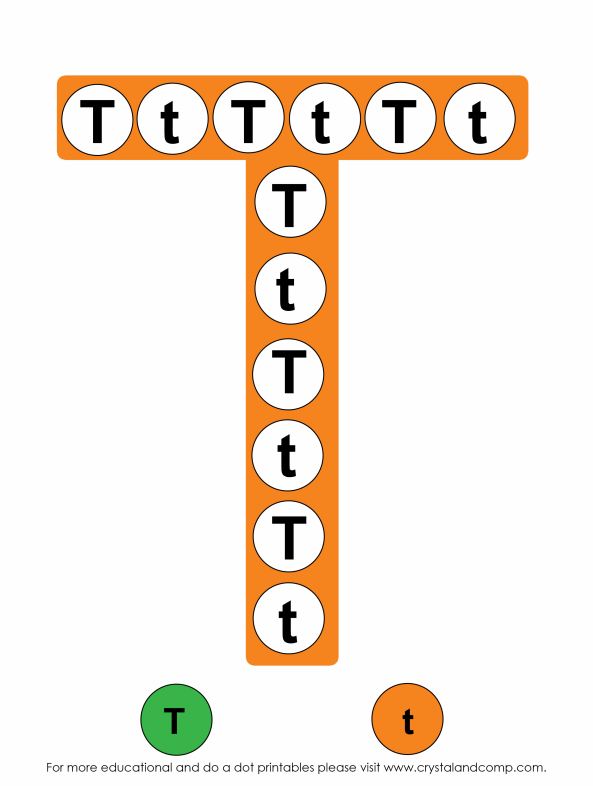 You can then use a marker to write who the gift is for on the hand tracings. 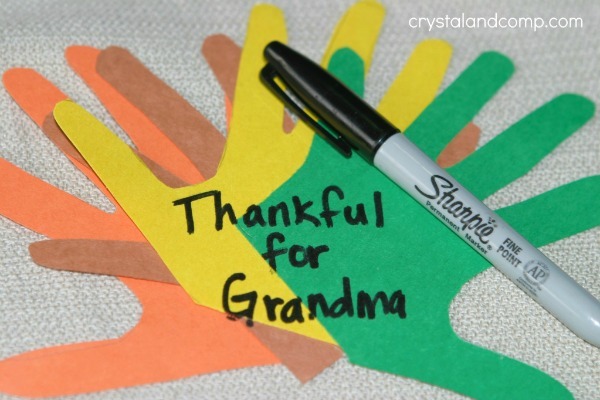 Write a note with a person’s name thhat they are thankful for to give away or just something they are grateful for. Hot glue the hand tracings to the back of the clean jar. Now its time for adding the face. Your kids will love this step! 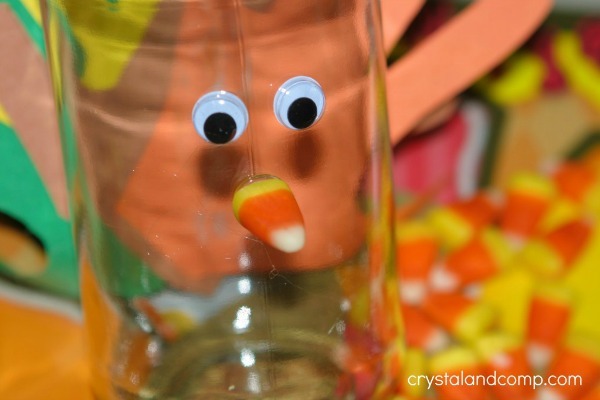 Use your hot glue gun to attach the wiggly eyes and candy corn nose. 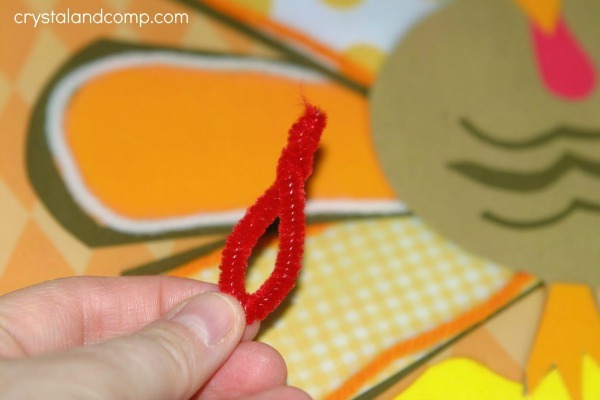 Take about 1-inch of red pipe cleaner and shape it to represent the wattle, and glue it into place next to the candy corn nose. 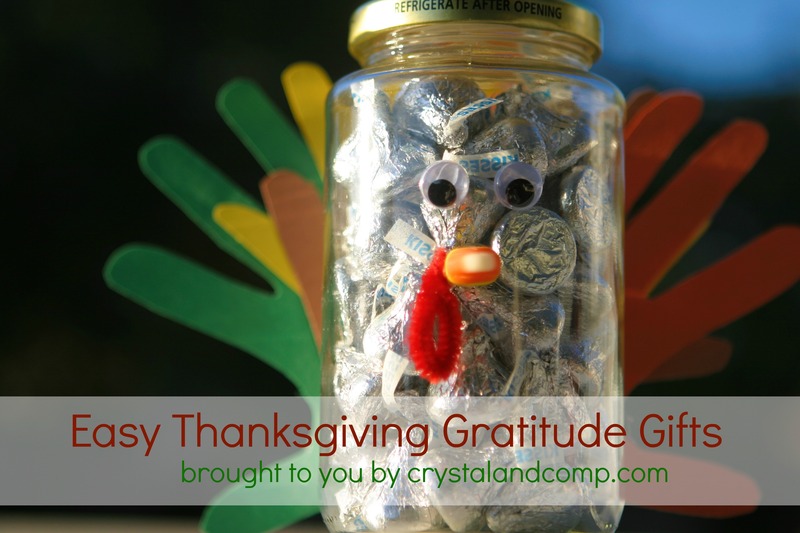 Fill the jar with candy, crackers, or whatever you like. We used Hershey’s Kisses. Set them on the table for a a sweet centerpiece and treat after dinner. Your guests will love them! What are you and your family crafting up for the holidays? Share your ideas! This post was also featured on What To Expect. Check out the same tutorial over there too! In our house we are in full Thanksgiving craft mode. We’ve been making all sorts of easy Thanksgiving crafts for kids…from turkeys made from paper rolls to DIY turkey napkin rings. This is one of our favorite seasons. The kid’s crafts sure do show it! 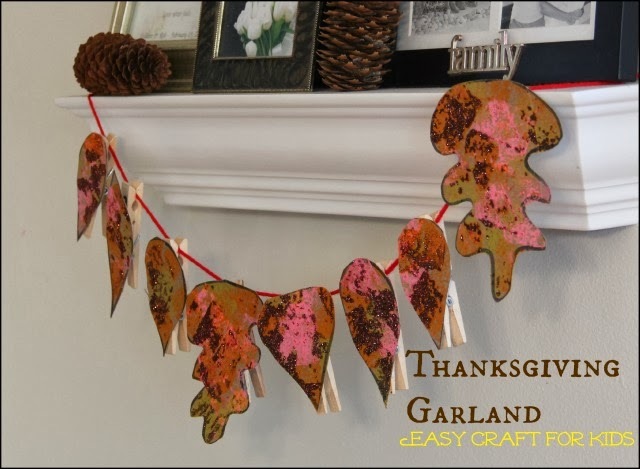 This Thanksgiving garland craft is perfect for fall decorating and filling your home with signs of the season…kids craft style! 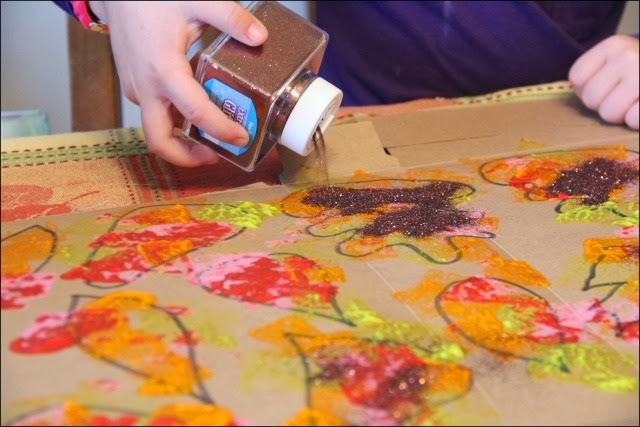 My daughter enjoyed each step of this craft, from the painting to the glitter. And now she loves to see it up on our shelf among photos of our family. We love to create crafts and activities that use recycled materials and this one was no exception. This festive garland was made from an item that was headed out to the recycle bin. With a little learning component added in, this Thanksgiving garland was a fun and easy way to explore colors, shapes, and textures. We wanted to come up with a festive fall décor item that the kids would love. I started out by grabbing up a cereal box from the recycle bin and drawing some quick fall leaf shapes. The stamp was a new kitchen sponge cut into different shapes. We had a square shape, a triangle, and a rectangle. We talked about the things we are thankful for while we painted our leaves. It would be fun to write those things and peoples names right on the leaves so that the writing would show from under the paint. We got a little ahead of ourselves and skipped that step, oops! Before the paint dried, Big Sister sparkled up our leaves with this gorgeous brown glitter. We let the paint and glitter dry for a few hours and then shook off the excess glitter. I cut the leaves out and we were ready for the next step. Big Sister and I pulled pieces of two-sided tape and stuck each leaf to a clothes pin. Big Sister is a HUGE tape fan, so this may have been her favorite part of the whole craft! Once all of the leaves were taped to clothes pins, Big Sister clipped them onto a length of red yarn. Pinching clothes pins is such a great fine motor activity for hand strength. Pinching them along the yard was pretty fun, too! Our leaf garland is decorating a picture ledge in our dining room and we’ve been loving the extra fall touch that this craft brings to the room. Just in time for Thanksgiving! Colleen is one of the three sisters who blog at Sugar Aunts. cousins who are around each other so often, that they are more like siblings than cousins! along on Facebook, Google+,Twitter, Pinterest, and Instagram so you don’t miss a thing.